We're continuing our series exploring the Barna Group's recent outlay of six Christian Megathemes affecting the Christian Church in the last decade, hoping to provide not only insight but possible solutions to some of the problems the Church faces today. Click here to read previous entries. Theme #4: Among Christians, interest in participating in community action is escalating. Largely driven by the passion and energy of young adults, Christians are more open to and more involved in community service activities than has been true in the recent past. While we remain more self-indulgent than self-sacrificing, the expanded focus on justice and service has struck a chord with many. However, despite the increased emphasis, churches run the risk of watching congregants' engagement wane unless they embrace a strong spiritual basis for such service. Simply doing good works because it's the socially esteemed choice of the moment will not produce much staying power. I think theme #4 resonates beyond the Christian culture to a general desire by the youth of the nation to find something more meaningful in their lives. As we'll discuss next time, moral relativism has been a dominant influence in shaping the values of younger Americans ( as this Barna report shows)—and Christian youth are not exempt from its influence. 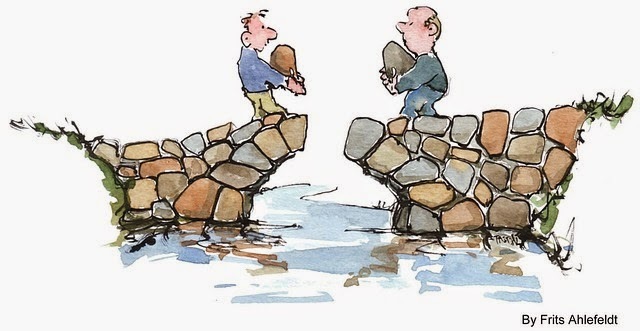 Given that the boundaries of right and wrong have become so fuzzy as to practically disappear, it's no surprise that young people want to find something to grab onto in providing long-lasting meaning to their lives. Community service fills that need. However, as the Barna report notes, "Simply doing good works because it's the socially esteemed choice of the moment will not produce much staying power." The church has a unique opportunity to do good things for their community; To do things which have a positive impact on those closest to the church itself. In so doing, the church must anchor these actions in the love of Jesus and the Christian worldview. In his book How Christianity Changed the World, Alvin Schmidt notes that it was Christians who fought against infanticide, opposed the gladiatorial games, and began the first hospitals and orphanages. They did this because the Christian worldview held that all human beings were made in the image of God and their value was intrinsic to being human, not to the benefit they could offer the state. They also saw that as Jesus sacrificed Himself for them, they should sacrifice for others, thus reflecting their Lord's love of all people. They sought to be like Jesus. Given that young people today, especially Christian youth, desire to do something deep and meaningful while helping their community, the Church has a great opportunity to reach out in love, to touch the lives of others and to show one way Christianity is still incredibly relevant in the world today. 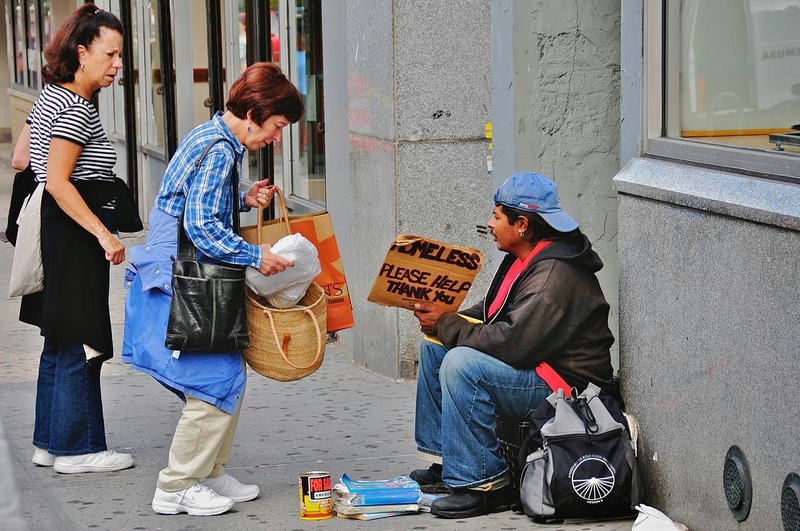 There are many local rescue missions who reach out to the homeless. Check the Association of Gospel Rescue Missions site for member organizations. In whatever outreach you involve yourself, make sure they are a Christian organization with an orthodox statement of faith. Your church may be able to recommend some. You will be assured that those they minister to are not only getting their physical needs met, but their spiritual needs, too. Invite an unsaved friend to volunteer with you. You'll have time and an opportunity to expose others to the work of the church. Be diligent to check out all the local social service organizations in your area for those that your church can recommend as being sound and faithful to the gospel effort. Don't just keep a list of recommended organizations, but announce it and encourage participation from your congregation from the pulpit. Have your youth groups plan on volunteering at least once yearly in some type of service project. Think about creative ways your church can serve those in need. How about a Saturday morning with all the single moms can bring their cars in and the church men can change the oil or provide basic services? How about a repair ministry to help the elderly fix portions of their homes? There are many ways your church can effective without having to expend more of the budget. We've recently been looking at the Barna Group's findings of six Christian Megathemes—dramatic shifts in beliefs, attitudes and actions of the Christian church—that have emerged in the last ten years. The trends are not healthy, and in this series I seek to provide some recommendations on how both churches and individuals can be proactive in reversing them. Click here to read previous entries. Theme #3: Growing numbers of people are less interested in spiritual principles and more desirous of learning pragmatic solutions for life. When asked what matters most, teenagers prioritize education, career development, friendships, and travel. Faith is significant to them, but it takes a back seat to life accomplishments and is not necessarily perceived to affect their ability to achieve their dreams. Among adults the areas of growing importance are lifestyle comfort, success, and personal achievements. Those dimensions have risen at the expense of investment in both faith and family…. Practical to a fault, Americans consider survival in the present to be much more significant than eternal security and spiritual possibilities. Because we continue to separate our spirituality from other dimensions of life through compartmentalization, a relatively superficial approach to faith has become a central means of optimizing our life experience. While Americans have always been known for their pragmatism, I feel that this shift is significant and different. The desire to get things done and accomplish goals is not bad in and of itself, and it has helped grow our country. But that desire should always be guided and guarded by understanding that there are bigger ideas to which we are beholden. Growing a strong agricultural economy is good, since it feeds people and raises the standard of living. But if such an economic model relies on slaves, then it should be abandoned. The bigger idea of all human beings having equal value outweighs economic concerns. Therefore, giving up the pragmatic approach to slave-driven agriculture and facing an upheaval in the economic model of the South was necessary. This is a huge problem with the practice of Christianity in the modern world. The noise of this present age has trained us to be uncomfortable in quiet reflection. Try this experiment and see how you do – the next time you have to travel for some distance, say 30 minutes or so, turn off the radio or iPod and any other distractions. See how long you can go without needing any distracting stimulus to counter the silence so you can think. Most people will get very uncomfortable after less than ten minutes in such circumstances. Paul, when writing to the Colossian church instructed them to start thinking more circumspectly about matters of faith. "Since, then, you have been raised with Christ, set your hearts on things above, where Christ is seated at the right hand of God. Set your minds on things above, not on earthly things." (Col. 3:1-2) We need to relearn how to be quiet and train our minds to think about specific thing very deeply; we need to be intentional in concentrating on the things of God. By avoiding wrestling with ethical and theological questions, we are doomed to hold a very superficial view of both Christianity AND life. That is not only sin, it is a travesty of living. Set aside some devotional time each day, with some of that time reserved for reflection. Start with smaller quantities of tine, say 10 minutes, and gradually increase it as you become better at reflection. Don't try to rush through your devotional reading, but think about different ways the verses may apply to you. Start journaling or blogging. Writing down your thoughts forces you to express them in a cogent manner and the act of writing gives you more time to see if what you feel is really what you mean. Pick a book that's a little above you intellectually. Determine to not only read it, but to understand it. This may require additional helps, such as commentaries or reference works. That's OK. The goal is to stretch yourself. Pastors need to stress the concept of thinking through passages of scripture. This doesn't come naturally, so your congregation will need to be trained on how to do so. Preach the importance and the scriptural commandment of developing the Christian mind. Rather than simply preaching against the superficiality of the world, we need to model how to think through issues. Hold an apologetics class or a Sunday School class and offer up some real ethical dilemmas. Talk through each aspect of the choices people may make. Here's a good example from a Harvard philosophy class. 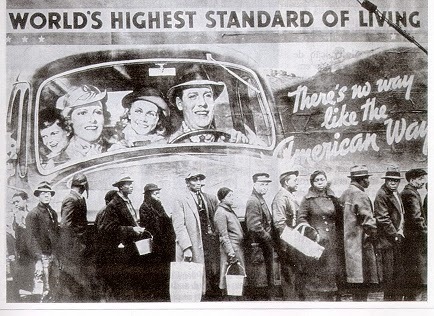 Image "American way of life" by AnaïsFernandes - Own work. Licensed under CC BY-SA 3.0 via Wikimedia Commons. Yesterday, I started a series where I take a look at the Barna Group’s findings of six Christian Megathemes that have emerged in the last decade. These themes are dramatic shifts in beliefs, attitudes and actions of the Christian church—and they need to be addressed since they’re a danger to the health and effectiveness of Christianity. You can read the first article here. Barna’s original list can be found here. Theme #2: Christians are becoming more ingrown and less outreach-oriented. "Despite technological advances that make communications instant and far-reaching, Christians are becoming more spiritually isolated from non-Christians than was true a decade ago. Despite technological advances that make communications instant and far-reaching, Christians are becoming more spiritually isolated from non-Christians than was true a decade ago. Examples of this tendency include the fact that less than one-third of born again Christians planned to invite anyone to join them at a church event during the Easter season; teenagers are less inclined to discuss Christianity with their friends than was true in the past; most of the people who become Christians these days do so in response to a personal crisis or the fear of death (particularly among older Americans); and most Americans are unimpressed with the contributions Christians and churches have made to society over the past few years." Given all the chatter both in the press and online about how Christians are "forcing their views" on others through protests, legislation issues (such as California’s Prop 8), school curriculum, etc., how is it that Christians can be considered more ingrown? The answer is simple, those conflicts are not what defines Christianity. Christianity has always been about sharing our faith with others. We are each to consider ourselves as patients recovering from a terminal illness, and we need to share the antidote with all those who face the same diagnosis. That’s what Matthew 28:19 AND 1 Peter 3:15-16 are all about. To a large degree, I think the presence of these moral conflicts in the public square has actually exacerbated the problem of insularity. People dislike being thought of as trouble-makers. It doesn't help that many of these stories paint Christians as the narrow-minded, backward bigots. See for example the recent stance that the Southern Poverty Law Center took in adding Christian groups to its hate groups list. Well, who wants to be lumped in with the Klu Klux Klan? So Christians become afraid of what others may think of us as being "Christian". We shy away from talking about our faith and we go along, just wanting to be liked. However, this is sin and a stark contrast from what Christianity has historically faced and still faces in much of the non-Christianized world. Just browse these headlines or read the first couple chapters of Foxe’s Book of Martyrs to see what Christians used to face! The other issue that bothers me is the fact that "most Americans are unimpressed with the contributions Christians and churches have made to society over the past few years." Christianity has always been at the forefront of cultural advancement. Christianity gave the world some of its best thinkers, artists, and humanitarians. We have Christianity to thank for orphanages, universities, and the view that all people are equal. Christianity is even at the center of our scientific advancement over the last several centuries. To hear more about this, you can grab a copy of my class "How Christianity Changed the World." Many in the church have bought into the lie that faith is a "personal matter" and shouldn’t be shared. The Bible nowhere teaches this and it simply doesn’t make logical sense. What you believe forms the core of your worldview, which shapes all your actions. Therefore, sharing our faith means sharing what's true, and that's something on one should be afraid to do. Learn more about what a worldview is, and how beliefs have consequences. A good way to start is by listing to talks such as the one Dr. Robert Stewart gave at the recent EPS conference. Start talking about beliefs with friends whom you have already developed already have a close relationship. Perhaps schedule a lunch date once a week. Then, invite a third person to join you so you can share your faith in a secure setting. Study up on some of these "hot-button" issues so you can defuse claims of bigotry or hate when they arise. Get involved with a Christian humanitarian organization, such as a rescue mission or an international relief agency so see some of the good Christianity offers the world. Pray that God will give you opportunities to share – and when you see them, say something! Churches need to begin training congregants on ways to share their faith in a winsome and attractive manner. It’s important to know the text, but it’s also important to know how to communicate it! Offer real-world opportunities to take students and others out in faith-sharing exercises. We recently did this in our Apologetics Missions Trip to liberal U.C. Berkeley. Invite an apologist to address your congregation and offer ways people may share their faith. Go through a book or perhaps the DVD series The Truth Project in your small groups. Then have people talk about their experiences in sharing their faith. Everyone will be strengthened knowing that they are not the only ones who feel afraid or worried about not being liked. The Barna Research Group recently released one of the most important studies I've seen in a while. Looking back over the past year of research on Christian behavior and belief, they've compiled what George Barna terms six megathemes—shifts in the way Christians believe and act—that have occurred within the last decade. In other words, these shifts are taking place right now, and they pose a significant risk to the health of Christians and the Christian church as a whole. In reading these, I don't disagree with anything found here. In fact, many of them are fairly evident. But we need to do more than just spot them. Therefore, let's look at them carefully and ask ourselves if we are guilty of allowing these attitudes to creep into our lives. Over the next few days, I'll take each point from the study and examine it in a bit more detail. Then, I'll explore what steps we need to take to reverse the slide—both individually and as a church. 1. The Christian Church is becoming less theologically literate. This first megatheme is not surprising in its statement, but it is shocking in its depth. Barna writes, "What used to be basic, universally-known truths about Christianity are now unknown mysteries to a large and growing share of Americans—especially young adults. For instance, Barna Group studies in 2010 showed that while most people regard Easter as a religious holiday, only a minority of adults associate Easter with the resurrection of Jesus Christ." He goes on to note that Christians even misinterpret something as fundamental as the person of the Holy Spirit to be "a symbol of God's power" which is a heresy taught by the Jehovah's Witnesses! The irony, of course, is that we live in an age of the Internet, where Christians have more access to information than ever before. But this means we need to first of all be interested in finding the answers and secondly be discerning when drawing from our sources. I think this first issue is key. People have increasingly taken a "buffet" approach to faith; give me a little of this thing, a dollop of that, but only what I like. It should come as no surprise, then, that the belief system people build start to reflect the drawbacks of a buffet: they load up on all the sweets and fun foods, but skip the fare that may be a little more difficult but will make you healthier. The writer to the Hebrews had the same complaint with that church. He said "For everyone who partakes only of milk is not accustomed to the word of righteousness, for he is an infant. But solid food is for the mature, who because of practice have their senses trained to discern good and evil."(Heb. 5:13-14) As Christians, we need to stop loading our plates with only messages of "Jesus loves me and has a wonderful plan for my life" and take in more of the green vegetables on the nature of God, the nature of Jesus, what salvation means, and other items. Apologetics is a wonderful way to do this, as it forces you to understand your theology and also be able to answer heresies, such as errors on the Trinity. Engage in conversations with others about what they believe and what basis they have for holding to those beliefs (did they just like the belief, are they basing it from scripture, from tradition, etc). Keep a daily devotion time, reading directly from the Bible. I recommend a chapter a day. Use an accessible commentary to help unpack the chapters that you read. Wiersbe's series are pretty easy for the novice. We need to focus more on expository preaching, and not as many topically-driven messages. Go through a book of the Bible from beginning to end with your congregation. Make sure theology is taught in Sunday school classes. This doesn't have to be dry and lecture-like. Place the tough theological questions in real-world scenarios and act them out. 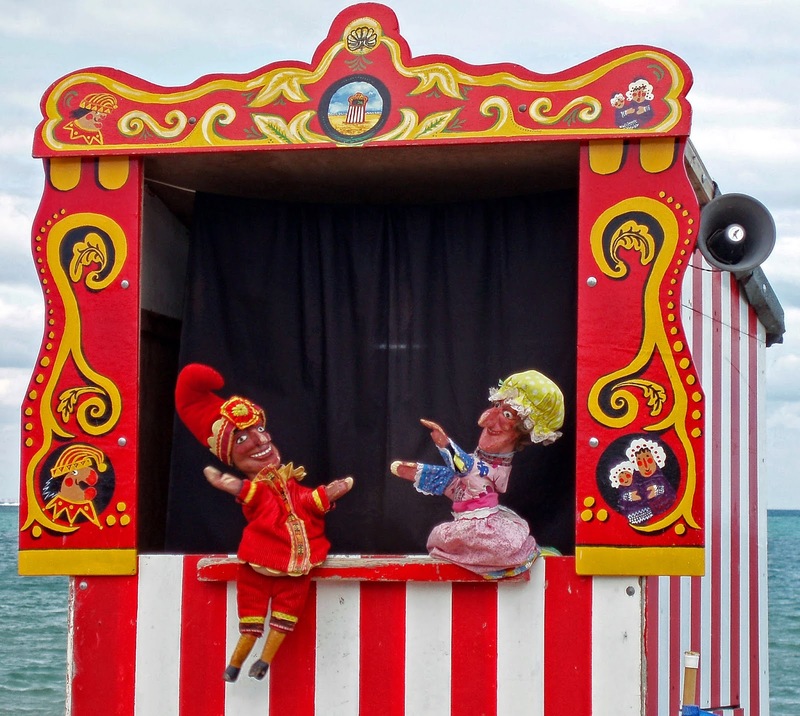 Even children's plays and support groups should weave theology into its curriculum. Seek to start an apologetics ministry in your church. For some ideas, you can listen to a this mp3 that was recently presented at the EPS Conference in Atlanta. Image courtesy ΙΣΧΣΝΙΚΑ-888 and licensed under the Creative Commons Attribution-Share Alike 3.0 Unported license. Who are Theudas and Judas of Galilee and why is Jesus Different? There have been many teachers throughout the history of humanity whose life and teachings are supposedly word-changing—at least this is what their followers believe or have believed. Such may be said about Jesus. Of course, history has shown that Jesus' teachings did indeed reshape humanity. We even number our years by His coming. But have you ever thought about why? In the view of the movers and shakers of the day, Jesus of Nazareth was a backwoods preacher in a third-rate province of Roman Empire. With no army and no money or political influence, why is it that two-thousand years later people across all continents celebrate His birth with more fervor than the greatest of any of their heroes? It isn't because of Christmas; it's because of Easter! The Sanhedrin should've understood this. 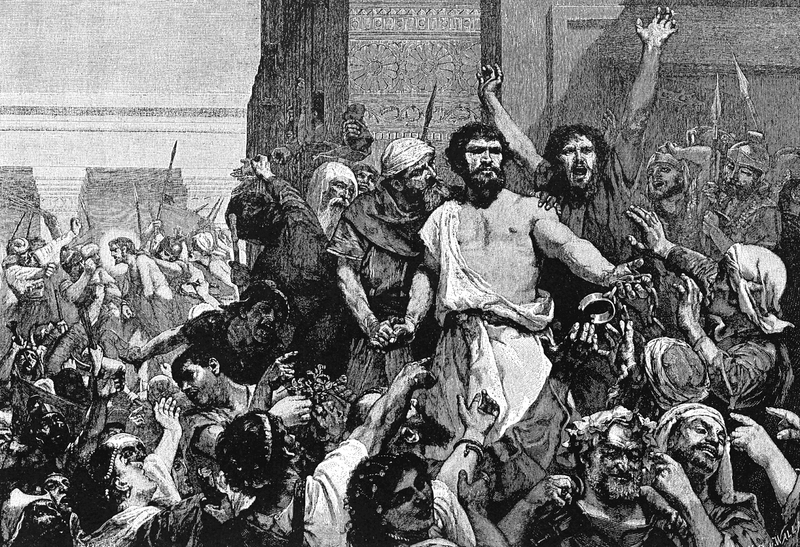 In John 2:19, when Jesus drove out the moneychangers, they asked Him what kind of authority he had to dictate what should and shouldn't happen in God's temple. Jesus replied "Destroy this temple and I will raise it up on the third day" speaking of His resurrection. Some like to point to Jesus as being a great teacher as the explanation for His popularity. But reducing Jesus to merely a good teacher neither explains the magnitude of His influence nor does justice to the things He actually said. Of course the teachings of Jesus were revolutionary and profound. But Jesus was unique. 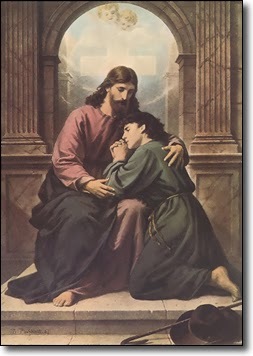 He claimed to speak with the authority of God, and backed up that claim by going to the cross, dying, and rising again. It is because of the resurrection that Jesus is held to be the source of authority on matters of God and mankind and it is because of the resurrection that we celebrate this season. Below is the official proclamation issued by the First Continental Congress. 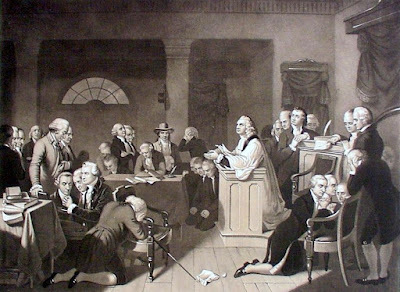 Note that they were interested in not only glorifying God for His blessing and provision, but also spreading "the practice of true and undefiled religion, which is the great foundation of public prosperity and national happiness." IT being the indispensable duty of all Nations, not only to offer up their supplications to ALMIGHTY GOD, the giver of all good, for his gracious assistance in a time of distress, but also in a solemn and public manner to give him praise for his goodness in general, and especially for great and signal interpositions of his providence in their behalf: Therefore the United States in Congress assembled, taking into their consideration the many instances of divine goodness to these States, in the course of the important conflict in which they have been so long engaged----- Do hereby recommend to the inhabitants of these States in general, to observe, and request the several States to interpose their authority in appointing and commanding the observation of THURSDAY the twenty-eight day of NOVEMBER next, as a day of solemn THANKSGIVING to GOD for all his mercies: and they do further recommend to all ranks, to testify to their gratitude to GOD for his goodness, by a cheerful obedience of his laws, and by promoting, each in his station, and by his influence, the practice of true and undefiled religion, which is the great foundation of public prosperity and national happiness. I spent all of last week in Atlanta at the annual Evangelical Theological Society/Evangelical Philosophical Society meetings. The ETS/EPS meetings happened over three days, where top scholars discuss the latest issues of religious significance or Bible understanding. It’s always an informative time and helps me understand then progress currently being made as well as get a good idea of topics to teach on in my apologetics classes. Dr. Gary Habermas presented some new findings of the Shroud of Turin that really caught my ear. It seems the Shroud exhibits x-ray type images, where you can see the teeth and metacarpals on the image – very odd for someone to render those if they were trying to fake an image. 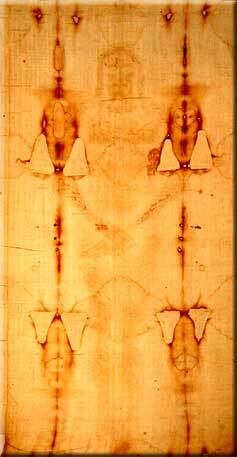 There was also a 15 foot full-scale replica of the shroud at the exhibit. J.P. Moreland defended his argument that consciousness cannot in any way arise from non-conscious material, thereby offering evidence for the existence of God, and William Lane Craig spoke on Peter Van Inwagen’s approach to God and Other Uncreated Beings. The highlight of the EPS conference was the plenary talk by Dr. Alvin Plantinga, where he demonstrated that the position of naturalism actually contradicts the concept of evolution. Since naturalists deny the supernatural, they must believe in evolution as the origin and development of all life, which means naturalists hold to a self-contradictory view! The paper was fascinating albeit a bit technical for the non-philosopher. Along with the Annual Meeting, the EPS also presents an annual Apologetics Conference at a local church. I was honored to be asked to speak at this year’s event, and I’ll report more on that in my next post. 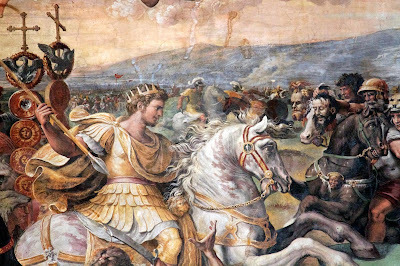 Today is the anniversary of the Battle of Milvian Bridge. This was the historic turning point that allowed Constantine to command Rome. It was also where Constantine first fought under a Christian banner, thus setting the stage for Christianity to become legal across the Roman empire. Of course, this raises as many questions as it answers as the video below shows. However, as Christians we should at least understand our heritage—warts and all—in order to better minister in the name of Jesus Christ. For a bit more on Milvian Bridge Day, see http://bit.ly/bDYNiR. Thanks to Anton and the Religion News Blog for the tip. Last week, I took a group of high school and college students to the University of California Berkeley to teach them how to engage others who would be skeptical of the claims of Christianity. Each day we had several good conversations on campus talking about the big questions of life. We also invited some noted atheists in the area to give presentations on the reasons they believe God is not real. Two of our guests were David Fitzgerald of the atheistfilmfestival.org and Mark Thomas, president of the Atheists of Silicone Valley. The standard theory for the creation of the universe is recognized to mean that all time, space, matter and energy came into being at some finite point in the past. Since the discovery of evidence supporting the Big Bang, the idea that the universe came into existence at some fixed point in the past is nearly universally accepted by modern science. However, given the argument above, it means that something must have caused the universe to come into existence. And this has been a big problem to those who dismiss the idea of God being the cause. Both our guests in their talks fell back on the idea of quantum fluctuations happening within a quantum vacuum state as being the ultimate cause of the universe. Mark and David both believe that this theory (a form of which is also being popularized by Stephen Hawking in his books A Brief History of Time and The Grand Design) can really explain everything. Now, I realize that most people are not familiar with quantum physics. However, with a little careful thinking and some basic research, you can see why this scenario fails. First, the fact that we are relying on something called a “fluctuation” should give us a hint that there’s something more than nothing going on. You see a fluctuation implies that at the very least something is changing. But a proper definition of time is the change in some state of affairs. If you have any set of circumstances and then those circumstances are somehow different, you can know that time has elapsed. You have a “before” and an “after”. So the fact that there are quantum fluctuations means that by definition time is already in existence. "According to present-day understanding of what is called the vacuum state or the quantum vacuum, it is "by no means a simple empty space", and again: "it is a mistake to think of any physical vacuum as some absolutely empty void." Even in Johann Rafelski and Berndt Mueller’s little book The Structured Vacuum they define the vacuum as “space without matter”. Herein lies the problem. If the beginning of the universe we mean that all matter, energy, space and time came into existence, but quantum fluctuations require space and time to already exist, then how can they explain the beginning of the universe? The answer is: they can’t. While quantum fluctuations are a theoretical construct, they really can’t explain why the universe is here at all, because two of the universe’s conditions must already exist for the quantum fluctuations to exist. It seems to me that because quantum mechanics has certain counter-intuitive properties attached to it, like the Uncertainty Principle, that the atheists are relying on this explanation to solve their very real dilemma. However, they haven’t thought carefully about the coherence of their position. 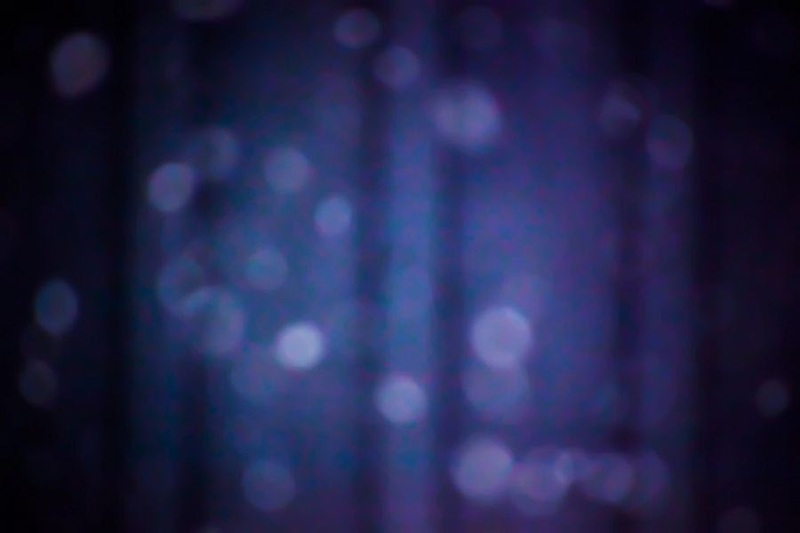 Whenever I asked where the universe came from, our guests would answer with "quantum fluctuations"--throwing it out like a sprinkling of magical pixie dust that somehow settles every question. As I’ve shown, their faith in such a solution is really unfounded. Here are some highlights from our first day talking with Berkeley students. Apologetics is an interesting discipline. To be properly equipped, we spend years in study, learning theology, philosophy, worldview, ethic, reason, argumentation, and science. I continue to read books and articles by both classic authors (Plato, Pascal, Augustine, Aquinas, etc.) and popular authors today—both Christian and non-Christian. We take seriously the command that we should study to show ourselves approved (2 Tim. 2:15) and that we should "always be ready to make a defense" (1 Pet. 3:15). But as important as all that preparation is, I think it's equally important to know how to chuck it all and a recent experience I had solidified that concept to me. A few weeks ago I engaged in a conversation with a man who was seeking to know God. "John" said he was seeking to know the evidence for God's existence. He told me he "was desperate to believe" that God is real. After a few minutes of conversation, I learned some facts about John: he claims to be agnostic, he's read Bart Ehrman and feels his arguments are strong, he feels the problem of evil argues against the existence of God. John holds a PhD in Philosophy. Given that John has an expertise in philosophy, I began to engage him in the arguments for God's existence – how the Bible cannot be considered circular given that it isn't one source but a collection of 66 different books written by many authors over a 1500 year period, how the Kalam shows that everything that has a beginning must have a cause, how moral theory shows that for evil to exist we must have an absolute standard against which to measure what counter with others. However, with each exchange John was becoming more combative and entrenched in his position. I couldn't figure out at first why he was becoming so argumentative. He had originally sounded so desperate to find out reasons to know that God is there, but the more I provided, the more he fought me. It was at this point that God opened my eyes to something - my approach was all wrong. John was a trained philosopher since most of that training was from an atheistic perspective, he had been trained to think about philosophy in a particular way. In arguing with him intellectually, he would merely fall back on what he had learned and react almost as a reflex. The more I engaged philosophically, the more he was unplugging from weighing the evidence. Instead he reacting with stock responses that he was taught. It was at this point that I asked him, “Wait, you came to me and said you want to believe. What about your desire?” When I switched from head issues to heart issues, his tone and demeanor immediately changed and he basically said "Yes, please pray for me. I want to believe but my heart and my mind are disconnected." And this is where true communication began to happen. You see, many people need to understand reasons why their objections against God are not valid, so we should know those reasons. However, by only engaging people intellectually, you limit the ways God can reach individuals. I got to pray with this man -an agnostic - who had all the answers to arguments for the existence of Go d except one, he could feel God’s presence pulling on his heart. It’s important for the apologist to understand that we must not rely on only our arguments as our sole apologetic. The real motivation here is to allow people to see the truth – that God exists and that Jesus offers salvation. If we confine ourselves to only head knowledge, we may miss the most powerful evidence for God’s reality we have - the self-attesting witness of the Holy Spirit. When I pushed hard on answering intellectual objections with John, it entrenched him more deeply in his agnosticism. In holding a PhD, he didn’t want to be shown his extensive years of study have lead to wrong conclusions. But he couldn’t deny that there was a yearning to know God. In forgetting my head knowledge for a bit, I was able to at least talk to him about how he feels and I was able to pray that God would continue to make himself real to John, as I still pray. Next time you have a witnessing opportunity, think a minute before you answer. See where the person you’re talking with has needs. Meet him or her there. Sometimes the smartest thing you can do is to stop being smart and start feeling. "We're offered potential beliefs all the time, in news reports and advertising and conversation. We don't accept them all; we reject some, we doubt others, and even those we accept we may be prepared to change or reject if we learn more. We know perfectly well – or if we don't, we should – that it's not sensible to believe everything that turns up." But she says there's an even more important question we must ask - how do we test the beliefs we hold? The important issue isn't how we acquire a belief so much as how we test it, question it, evaluate it. Belief isn't a straight yes or no thing, or at least it shouldn't be. Once we're past childhood (and assuming we've had a decent education), we should know better than to believe whatever we're told. Benson says that people treat religious beliefs as the exception to this rule. Maybe some (or possibly most) people do. However, I do agree that it shouldn't be so. Being rational means holding onto true beliefs. And Christianity has always been a faith that challenges both its adherents and its skeptics to put it to the truth test. For examples of this, we can look to the New Testament. Paul instructed the Thessalonian church to "examine everything carefully; hold fast to that which is good. "(1 Thess 5:21) And in 1 Corinthians 15 - the oldest passage of the New Testament - Paul writes that if Jesus did not rise from the dead (as a real fact of history), then the Christian faith is worthless, we are deceived of God, and to be pitied above everyone else! Christians shouldn't be afraid to face questions that ask about the truth of the Christian faith. We do a disservice to the believer and the seeker when we say that we shouldn't question faith. This doesn't mean we need to engage in any off the wall objection that someone thought of - people will many times be motivated not by a search for truth but simply want to waste your time. We should be willing to talk with those who have honest questions and show the reasons for Christianity. Christianity is not merely a belief - it is a true belief and we need to get that message out to the church and the world. Image courtesy Mike Grauer Jr and Licensed by the Creative Commons Attribution 2.0 Generic (CC BY 2.0) License. On Wednesday after visiting Virginia City, we drove through the Sierra Nevadas to Yosemite, beginning on the Pony Express route, which ran from 1860 to 1861. It's been pretty interesting to see that without planning we are more or less keeping our trip in chronological order so far - the ancient Puebloans (700 AD), the first settlement of Utah (1840's-1850s), Virginia City and the discovery of gold (1859), and now the Pony Express. Yosemite was established as a national park in 1890, so it fits well. After spending the day at the park and taking in all the indescribable scenery, we come back to the hotel on Thursday and let the kids swim. During this trip, I've noticed quite a few international tourists coming to the view the American sites. Sitting in the spa, I strike up a conversation with a man visiting California from the Lake Geneva area of Switzerland. Since I'm from Southern California, he asks about the beaches and the water, thinking it's as cold as the beaches in San Francisco. Now, when talking with people from Europe, I try to be sensitive to their understanding, so I try to convert distances and temperatures to their metric equivalents before answering. I tell the man, the water temp is about 20 degrees in SoCal (approx 68-70 Fahrenheit). I feel that by converting to Celsius or kilometers, it just makes the conversation more comfortable, just as you would appreciate a person in France letting you know that you have 200 miles until your hotel instead of 320 kilometers. This lesson is also applicable when sharing our faith. Too many times we lapse into "Christian-speak" and start talking about the need to be born again and the glorious gospel without realizing that the person listening might be loading those words with completely different meanings. For example, to be born again in the Mormon church means that you have been baptized & confirmed into the Mormon church. We can use the words "good news" for the gospel, since that's what it means. 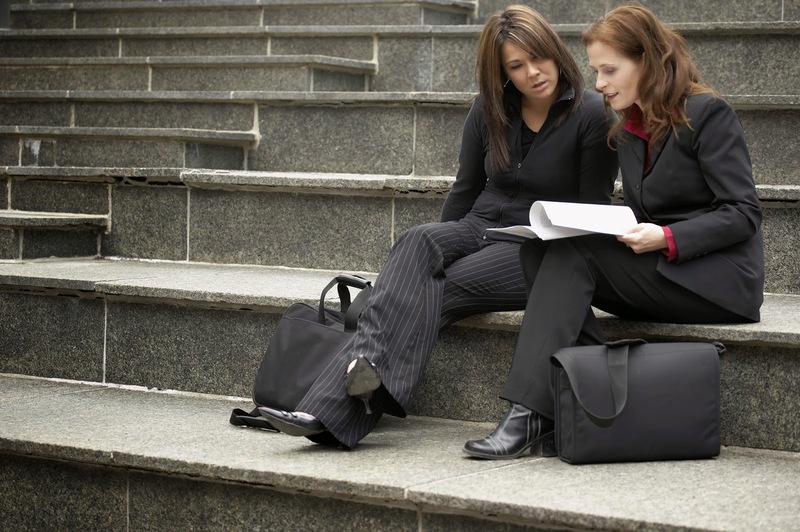 Explaining our terms in language others can grasp will help much in our communication efforts. As we continued our conversation, I had noted that the man was from the French-speaking portion of Switzerland. So I asked him if he was familiar with Francis Schaeffer. Schaeffer was a prominent Christian thinker, philosopher and apologist who developed a Christian ministry called L'Abri in the foothills near Lake Geneva in the 1960s and 70s. Unfortunately, the man was unfamiliar with him, which surprised me a bit since he lived in the same general area as Schaeffer did. "What a shame" I thought, "to not even be exposed to such a powerful thinker when he is so close. You're missing out on an important movement in your own backyard." Then I started wondering how true this is for so many Christians. Christianity has the greatest intellectual capital of any faith - with thinkers such as Augustine, Anselm, Aquinas, Pascal, and Leibnitz; thinkers who are so powerful even the most secular university students of philosophy must spend many hours studying them. We have today's lions of Christianity: J.P. Moreland, William Lane Craig, Alvin Plantinga and others who are defending the faith and moving the ball forward against its most vociferous detractors even now and yet most Christians have never heard of any of them! We are just as guilty by ignoring our spiritual heritage! The New Atheist movement has been making a lot of noise and getting a lot of press. In reality, the arguments they offer are not new at all - Christians have answered them hundreds of years ago. But the Devil preys on people's ignorance and will repackage an old lie to make it sound new and different. We need to be aware and not neglect the rich heritage we have as Christians. If you are interested in learning more, I recommend starting off with Love Your God with All Your Mind by J.P. Moreland, which is a good primer to the study of Christian thought in general For a more detailed look at the great thinkers of Christianity, you should read A History of Christian Thought by Jonathan Hill. And if you want to see today’s great apologists in person, I recommend checking out this year's EPS Apologetics Conference in Atlanta Georgia. When I was a kid, my family visited Virginia City, Nevada and I never forgot it. So, it’s no surprise that I wanted to take my family there as we continued our tour of the Southwest. (If you’ve missed any of the previous blogs about this trip, you can read them all here.) For those of you who may not know, Virginia City is the site of the biggest and richest mining strike in the history of the United States. What became known as the Comstock Lode produced over 300 million dollars worth of precious metals in its 50 year history. What always stuck with me was the story of how Silver City got its name. 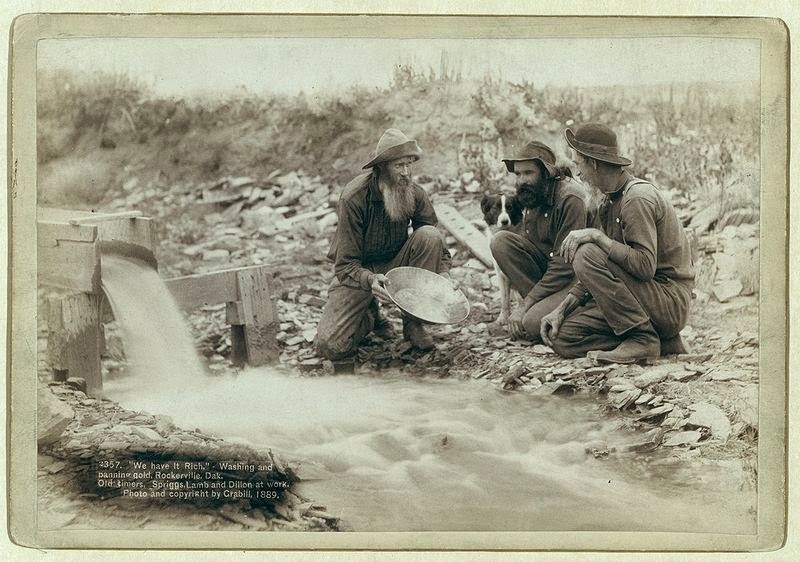 After gold was discovered in the Nevada hills, prospectors and miners came looking for riches. As the surface gold ran out and they began mining the hillsides, they would run afoul of a heavy black mineral that would clog their rockers and continue to make it difficult to extract the gold. Cursing the stuff, they wanted nothing more than to rid themselves of it, so when some of the townspeople asked to use the cast-offs from mining to pave their streets the miners quickly obliged. Only after someone took a sample of the stuff to an assey office in California did they find out the stuff they were discarding was almost pure silver! As our tour guide said, "You can bet that those streets were ripped up a whole lot faster than they were laid down!" I think of that story a lot and the lessons it teaches. How many times in our Bible reading do we look for those familiar stories with easy to recognize morals, and just trudge through the rest of the chapters trying to get to the end? Do we "discard" books like Hosea or Philemon because they’re perhaps a little difficult to comprehend or apply at first? What riches we’re throwing away! If a book is a bit difficult, buy a good commentary or two and set it in your mind that you are going to mine these scriptures for all their worth. Without a little effort on the part of an inquisitive individual who stopped and asked "what exactly are we throwing away?" the Comstock Lode would have never been the valuable success story it was. Dig into these pages – you know, the ones where the gold leaf is still sticking together – and you will find new treasures and a better understanding of God and His ways. When I started sharing my vacation as a way to teach and learn about our faith, I wondered if I would wither get repetitive or not have anything to write about. But, there are teachable moments everywhere, even in the most desolate places. 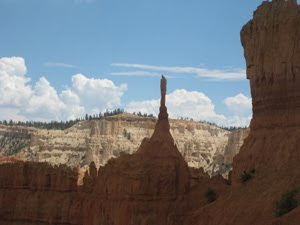 We left Cedar City, Utah and took Highway 56 west to Nevada. At the 93 junction, we decided to save some time and drive toward Carson City via the 375. This highway has a warning sign stating that there are no services for 150 miles-and they were absolutely right. There was nothing but desert and a few cattle as far as the eye could see for over two hours of driving. (To see the area, click here.) Such trips make one a little leery – suppose we break down? Without cell services how would we call for help and how long would it take to arrive? But we did prepare for the long ride ahead of time - we have food, liquids, and plenty of in-car entertainment for the kids. On the other side of the long desert stands a lone town, Tonopah Nevada. We pull in for gas and I find myself standing in line behind Dennis Avner, who is considered to have one of the most extreme body modifications ever. 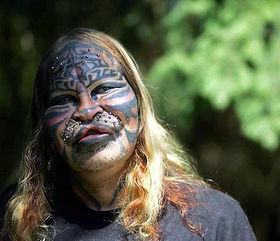 He's had tattoos, various silicone implants, teeth modifications, and whisker implants among other things as he tries to make himself look as much like a tiger as possible. I had previously seen a documentary that highlighted Avner in one segment, so I recognized him immediately (who couldn't?) Later, I found out that Tonopah is his hometown. In the article linked above, Avner states that his desire to be tiger-like is the dominant driving force of his life.When asked about any relationships, he responds "I'm seeing a couple of women at the moment. They understand that being a tiger is more important to me than humanity, which is difficult for many women to cope with." Being a cat is more important than humanity? Avner is clearly confused in his priorities. He IS human. He says he has an office job, so he conforms to some societal standards when they suit his needs. (He also obviouly doesn't shun medical procedures!) Changing one's physical appearance and wanting to feel like you are another animal are as shallow as the racist who also assigns value based on appearances or skin color. I cannot judge all of what drives Avner to his mania, but I do know that there is a desperation for God in every human heart - a God-shaped vacuum, Pascal called it. We can either recognize it, search for other things to try and fill it, or simply try to numb it so we can't feel it anymore. The town of Tonopah is an oasis of humanity surrounded by hundreds of miles of lonely desert. Even there, no one can hide from their need for God. Avner can try to be a cat, but in reality he's a human bing who has to conform to some human societal precepts in order to live. He's seeking something in his appearance that will never be totally fulfilling. That's why we need to share the Gospel. Because no matter how big the oasis, people are still desperate for God. 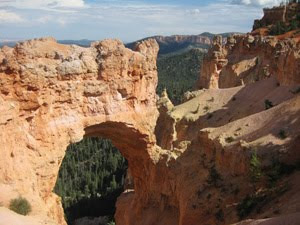 Yesterday, we had the opportunity to tour Bryce Canyon National Park. The park's many scenic points are awe-inspiring, but the best way to experience it is directly via a hike. Your perspective really changes looking up at the colorful hoodoos of so many different and seemingly impossibly intricate shapes. We decided in the one day we had there, that we would walk the recommended Queen's Garden/Navajo trail combined hike. It's a 3 mile loop that allows one to get an up-close view of some of the more amazing areas of the park. When looking at all the incredible beauty surrounding you and the many geologic factors that must come together to create such landscapes, I couldn't help but think how amazing God is to provide us with such magnificent splendor, but I also thought about how the fact that beauty exists also argues for the existence of God. Philosopher Peter Williams offers a great overview of the arguments for the existence of God from the aesthetic (beauty). First, the concept of beauty in some cases seems to be objective, as Williams notes when quoting J.P. Moreland. 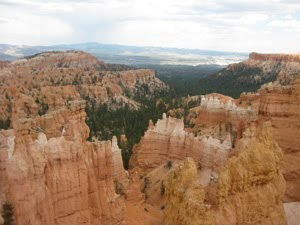 I cannot think of any situation where a person would look at the landscape of Bryce Canyon and feel it was anything other than beautiful. The fact that such beauty exists is in no way tied to survival, yet we all recognize it. If there is such a thing a true beauty, then it would need to stem from something that transcends humanity – much like true morality must transcend human opinion. Williams' argument is nuanced and should be read. However, I do believe that when God created the world, He was more than a utilitarian workman, making sure everything was developed to only work together. He cared about beauty. Jesus said as much in Matthew 6: "Observe how the lilies of the field grow; they do not toil nor do they spin, yet I say to you that not even Solomon in all his glory clothed himself like one of these." Part of God's initial blessing on Adam and Eve was that they explore and learn about the beauty of His creation. And the fact that we can see the beautiful shows that we are created imago dei - in His image. One of the great benefits on car trips with the family is that it forces families with normally busy schedules to spend a good amount of time together and allows you to talk about things that may not normally come up in conversation. Yesterday was one of those days for us. We had to cover some 430 miles driving from Durango to Cedar City Utah. This drive is incredible with breath taking vistas at every turn. I'm really glad we've shunned the Interstate for this portion of the trip. We went back through Four Corners (which was closed when we had passed it the first time) hoping to stand in Arizona, Colorado, Utah, and New Mexico all at the same time. Alas, the Navajo Nation is doing construction on the monument so we could only walk around the fenced off circle. Still, I can now say I jogged across four states. Forrest Gump, look out! Of course Utah has deep Mormon roots, from the names of towns and places (Mt. Carmel, Zion National Park) to the state highway signs which hold a beehive symbol. The state's population is 75% LDS, so I expect conversations to ensue. We check into our hotel (the clerk's name is Krishna!) and after a short swim, we all go out to dinner. Even in popular culture, Mormonism and polygamy are intertwined. During dinner, my oldest asks a bit about this, allowing me to explain how Joseph Smith taught that polygamy was appropriate and himself took many wives, eleven of whom were already married to other men. 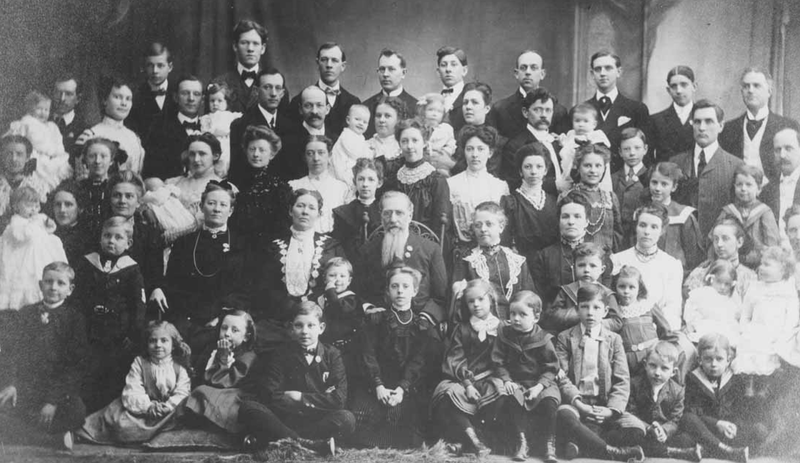 One of the goals of polygamy was to produce as many children as possible to help increase the LDS population, but polygamy was illegal in the United States, so the Mormons practiced it secretly. However, it was an affront to the average citizen even then and this practice is primarily why the Mormons were driven out of Illinois. Because Joseph Smith was killed while awaiting trial in Illinois, it was Brigham Young, the second LDS president, who lead the Mormons to the Utah territory, where they first began practicing polygamy openly. Although the U.S. government had been trying to stem these practices for some time, the Mormons continued them and saw them as a commanded by their faith. This continued until the Supreme Court ruled that the government had the right to seize all church assets and disincorporate the church because of their flagrant violation of the Edmunds-Tucker Act. In 1890, just after this ruling was handed down, LDS president Wilford Woodruf proclaimed a "revelation" form God disavowing further plural marriages within Mormonism. In our discussion, I noted that modern day LDS become very uncomfortable when the practice of polygamy is brought up, usually saying that such things are far removed from what they believe now. However, apostle Richard Lyman claimed to have a plural marriage as recently as 1943! I also noted that many people splintered from the main Mormon Church once the proclamation was issued, spawning groups such as the FLDS and Warren Jeffs, who have recently been highlighted in the news. A simple dinner was turned into a teachable moment as our family got to slow down and talk a little bit about what we were seeing around us. We also got to correct some misunderstandings and put a better focus on how beliefs will impact the way people live and how they understand right and wrong. Yesterday, we decided to do some sightseeing and shopping in downtown Durango, CO. A mining and railroad town incorporated in 1881, it still holds its western heritage with high esteem. But it seems that Durango has quite a heavy New Age presence, too. Several of the stores are selling crystals, herbs and potions, and there is even one store selling New Age book titles exclusively. Now, my wife knows that any time we visit a new town, used bookstores are a definite stopping place. In Durango, they have a tiny house that's simply packed with stacks of books – so much so that you need to turn sideways to walk through some of the halls. The gentleman who runs the place seems to know the value of his books, too. I find the philosophy section and look around a bit. Next, I search for the religious section wondering what treasures I may find. After some time, I find the area and am woefully disappointed. There are hundreds of books but not one Christian title – not one! Egyptology, Scientology, Buddhism, Karen Armstrong and others of this type are well represented. I think that there's a bias going on here! When we stumble across the New Age book store, I walk in and talk a bit with its proprietor. She's sitting at a table with a deck of Tarot cards in front of her. Curious about the town's leanings, I ask her what the most popular title is she's currently selling. "Well, it all depends on the person and what energies you want to channel" she replies. Knowing that Riverside will probably be blazing hot when we get home, I'm thinking the energy to power my A/C would be nice. "What about authors?" I ask. She trots out the more common names of Marianne Williamson, Sylvia Brown, and the like. Unfortunately, this list seems to parallel Oprah's Book Club recommendations, too. Hoping to get a little more insight into the current state of thinking among New Age adherents, I continue to inquire, this time asking which topics are big sellers. "Well, angels are always popular." I immediately believe this and am also troubled by it. Our culture has turned angels into something opposite of what they really are – ministering spirits of God (Heb. 1:14). While God sends angels to sometimes help people, such as the one who freed Peter from prison in Acts 12, they are obeying God and His desires. But today, many make them out to be spiritual beings who are only to help us, as the popular license plate frame "Never drive faster than your guardian angel can fly" attests. Hmm, I wonder what people who have those license plate frames would think of the two angels that destroyed Sodom or the one who wiped out 185,000 Assyrians in one night? The real tragedy here is the only way this New Age lady or any of us know about angels is because they are portrayed in the Bible – yet we don't want to believe what the Bible actually says about them. 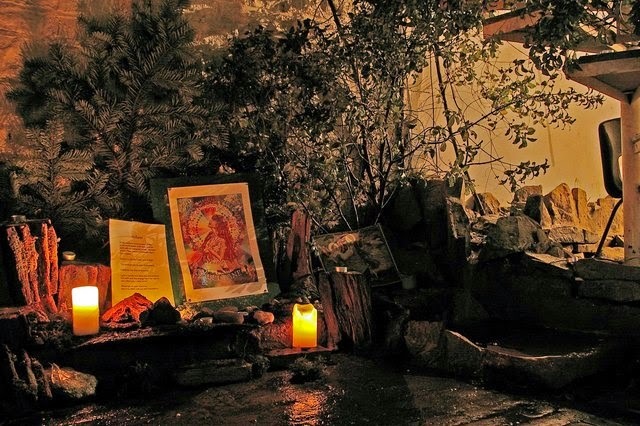 We'd rather believe that we have carte blanche to do what we want while our guardian angels, acting as spiritual life guards, are always on duty to pull us out of danger. If angels intrigue you, why not read about them from the source-the Bible? You'll find out how they really operate and what they're truly capable of. You will also discover that there's another caution you must be aware of – fallen angels with intent to murder and deceive(John 8:44). These are the ones that the New Age practitioners are more likely to channel. Image "New Age Shrine Glastonbury - geograph.org.uk - 167848" by Glyn Baker. Licensed under CC BY-SA 2.0 via Wikimedia Commons. Many have asked me previously "How can you teach younger kids about apologetics and defending the faith?" Well, here's one good way. I've taken my family on a vacation touring the American Southwest. Along with a rich look at our heritage, I'm finding many opportunities to examine worldviews and the way that they shape people's attitudes. I'll be blogging about my experiences and observations as we go, allowing you to come with us and see ways you can also discuss ideas with your families and friends. Our first day consisted of one long day of driving—750 miles! We arrived in Durango, CO knowing nothing more than it's a picturesque location and that it would be a good spot to explore. 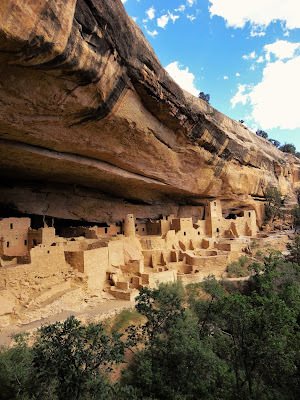 At breakfast the next morning, an ex-native of Durango recommended the Mesa Verde National Park. This area holds the ruins from the Ancient Pueblo Indians, who built their villages tucked into cliffs. I had always wanted to see these ruins and we decided that it would be a great trip. The park is some 34 miles from the hotel, and the actual cliff dwellings that you can tour are another 20 miles of winding road beyond that. We tour Balcony House and listen to the Ranger explain how the ancient Puebloans were nomadic peoples "whose security was in their journey." The Ranger notes that the people worshiped "Father Sky" and "Mother Earth" and how their lives were seeking balance - "that center place." He also notes how the dwellings used a solar calendar to note the spring and fall equinoxes where the day and the night were equally balanced, then adds "which may have some significance for those of some other faiths." Assuming he's unfamiliar with Zoroastrianism, I assume he's referring to some form of Confucianism or Taoism. However, these were a non-literate people, so much of their beliefs and practices are nothing but sheer speculation based on interviews with their descendants who are some 800 years removed. We really don't know as much about their beliefs as some would lead on. The most confused ideas presented during the day was in the museum where a film discussing the history of these people was playing. At the end of the film, the narrator notes that since this area is not merely an ancient place of history, "it is hallowed ground"(emphasis in the original). This shows the complete confusion today with modern understanding of the sacred. While the cliff dwellings are amazing, and these people were the ancestors of the Hopi, the Navajo, the Ute and the Mesa Indians of today, the cliff dwellings are certainly not hallowed ground. It highlights a nomadic society whose existence in this area lasted only some 80-100 years. While there's much conjecture on why they left (severe drought and lack of firewood are offered primarily) these people were still controlled by their environments. The cliff-dwellings couldn't sustain them long-term and life must've been very difficult. It's not a jump to assume that famine from loss of game and crops during the drought would cause a tremendous amount of suffering, forcing these people to continue migrating. Ultimately, building and dwelling in the cliffs didn't work to find the Puebloans' "center place" - simply because we live in a fallen world. The effects of sin were still prevalent in their daily lives and they couldn't escape it even in the rocks. To many today, seeing 800 year old ruins of a people who lived a prehistoric lifestyle and the wonder that it inspires makes them feel like such sites are somehow holy. I think this does a disservice to the concept of what true holiness is. Holiness stems from one true God. It is seeking Him and shunning sin. While the ruins of the Puebloans are certainly awe-inspiring, they no less tell the tale of how the effects of man's fall ravages societies. They needed to better understand who God is and how He created this world. When we mix up holiness with history we are in danger of losing the real meaning of both and the lessons they teach. Image courtesy Rationalobserver and licensed under CC BY-SA 4.0 via Wikimedia Commons. How do we measure belief systems? This question has been asked of me many times in one form or another, especially by those who would like to uphold a "tolerance" for all faiths, not judging any to be true or false. However, as I've continued to say, ideas have consequences. What you believe will determine how you approach the world and live within it. So, if a person is properly following his or her belief system (you never measure a belief system by those who violate its tenets), then you can see the outworking of that belief system and see how well it conforms to reality. That's why a story in yesterday's Los Angeles Times caught my eye. Entitled "Women threaten to breastfeed drivers if they aren't allowed to drive", it shows the twists and permutations where wrong-thinking ideas lead when they are extended to their logical conclusion. Saudi Arabia is the center of the Islamic world, a very strict nation ruled by Sharia law, and like most countries under Sharia, it subjugates its women. Women must have a male guardian at all times, they're not allowed to vote, must be covered from head to toe, legally cannot drive, and the sexes must be segregated, unless the company consists of immediate family members, such as mother and son or brother and sister. The Saudi government says these restrictions are to comply with the laws taught in Islam which is the basis of the Saudi government. As you can imagine, it becomes pretty hard to function when women and men cannot be in the same public place at the same time. Saudi women who are now seeking the right to drive have now taken Obeikan's thoughts one step further. According to the Times article, "if they're not granted the right to drive, the women are threatening to breastfeed their drivers to establish a symbolic maternal bond. ‘Is this is all that is left to us to do: to give our breasts to the foreign drivers?' a Saudi woman named Fatima Shammary was quoted as saying by Gulf News." Although the statement seems ridiculous on its face, it follows naturally from the law and the cleric's previous reasoning. In order to maintain modesty and purity, women would have to allow strangers to suckle them so that they can get around if a family member isn't present. They cannot mix sexes in a car, and since all women cannot drive, there are no chauffeurs or taxis that would allow them transportation. In looking at all this, the absurdities of the law become apparent. Granted, the legal ban on driving is a reaction to a group of protesters some 20 years ago, but the traditional view was in place long before that. The fact that in Islam women are seen as the sole problem in men's sexual temptation, thus men must be shielded from their looks and their company at every turn, is at the root of all these issues. And to think that just by passing a bodily fluid, all that temptation is somehow dissipated is as ridiculous as the former concept. The bigger reason I point to this story is simply to show how bad belief systems not only harm real people, but they also lead the oppressed to desperation. When oppression mix with legalism the results are tragic and the fact that Saudi women would even threaten such a move shows the poverty of the Muslim viewpoint on women. The Isamic Hadith, Book 008, Number 3424 records this exchange between Mohammad and a follower who raised an adopted boy, who would be considered a stranger in her home. A'isha (Allah be pleased with her) reported that Sahla bint Suhail came to Allah's Apostle (may peace be upon him) and said: Messengerof Allah, I see on the face of Abu Hudhaifa (signs of disgust) on entering of Salim (who is an ally) into (our house), whereupon Allah's Apostle (may peace be upon him) said: Suckle him. She said: How can I suckle him as he is a grown-up man? Allah's Messenger (may peace be upon him) smiled and said: I already know that he is a young man 'Amr has made this addition in his narration that he participated in the Battle of Badr and in the narration of Ibn 'Umar (the words are): Allah's Messenger (may peace be upon him) laughed. This past January, the Sundance Film Festival debuted The Kids Are Alright, a movie about the tests a lesbian couple endures when their two children seek out to find their sperm-donor father. Of course, the movie's pro-homosexual message at the end is all about the difficulties every couple faces through years of commitment, echoed approvingly by an article in Psychology Today.1 But this is a movie, and just like everything else that comes out of Hollywood, the truth is a very different – and disturbing – thing. Regardless of socioeconomic status, donor offspring are twice as likely as those raised by biological parents to report problems with the law before age 25. They are more than twice as likely to report having struggled with substance abuse. They are about 1.5 times as likely to report depression or other mental health problems. As a group, the donor offspring in our study are suffering more than those who were adopted: hurting more, feeling more confused, and feeling more isolated from their families. (And our study found that the adoptees on average are struggling more than those raised by their biological parents.) The donor offspring are more likely than the adopted to have struggled with addiction and delinquency and, similar to the adopted, a significant number have confronted depression or other mental illness. Nearly half of donor offspring, and more than half of adoptees, agree, "It is better to adopt than to use donated sperm or eggs to have a child." In the film (disclaimer: I've not seen the movie; I've only viewed the trailer) one of the children asks his father "Why did you donate your sperm?" The man replies "It seemed a whole lot more fun at the time than donating blood." This sums up much of what is wrong with our culture’s view of creating a family. 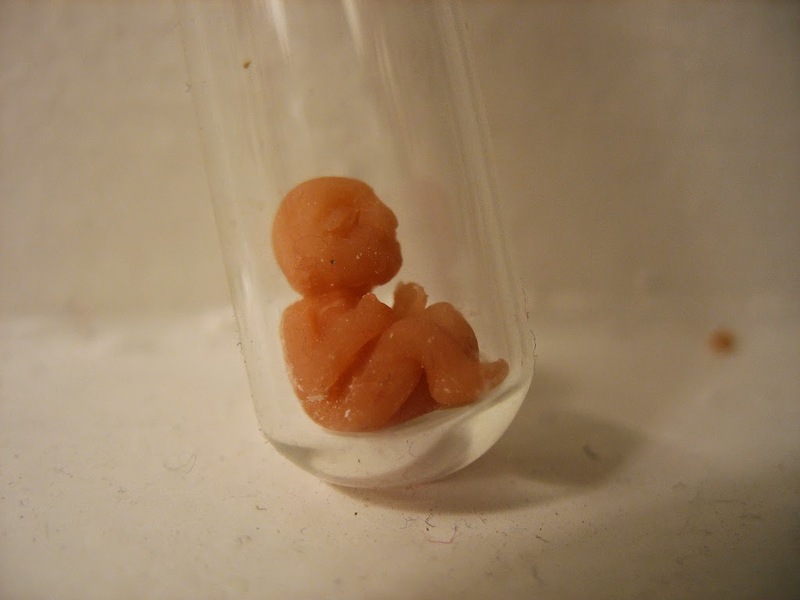 People who take a frivolous approach to having a child (or providing the materials such as sperm or ovum to create them) are not looking toward the future child’s best interest. In fact, many people seem to believe that children are just one more accessory they are entitled to, so that their list of stuff is complete. But as we see, such frivolous attitudes lead to real, damaging consequences. And these consequences not only affect the sperm-donor kids, but they affect the society as a whole who has to cope with, treat, or jail the negative actions they perform as a result. God's original design for marriage is a father and a mother committed for life, bringing up their biological offspring. Even in our "enlightened" era, it looks like that formula is still the best for raising strong, well-adjusted individuals. No matter what Hollywood preaches, the truth tells the tale. You can read the entire Slate article here. You can see the actual study from Clark and Marquart here. 1. For the Psychology Today review of the movie, go here. Image courtesy Brendan Dolan-Gavitt and licensed by the Creative Commons Attribution-ShareAlike 2.0 Generic (CC BY-SA 2.0) License. There are many different articles out on the web dealing with Christian apologetics and how to defend your faith with others. Most deal with the technical nature of a specific claim or offer analogies for you to use when explaining your opinion. However, there is another aspect of apologetics that is often ignored - how to talk appropriately to people. 1 Peter 3:15 (the "apologetics verse") says that we "always being ready to make a defense to everyone who asks you to give an account for the hope that is in you, yet with gentleness and reverence "(emphasis added). People seem to forget that the "gentleness and reverence part are included in the verse. Knowing how to approach people is just as important as having all your facts together. Remember, people have intrinsic value, and approaching them that way is part of our biblical mandate. My friend Brett Kunkle of Stand to Reason offers these six tips on engaging others in respectful, apologetically-driven conversations, tips we should always keep in mind when sharing our faith with others. Apologetic Tip #1: Start with questions, not statements. Apologetic Tip #2: Take the time necessary to get to know the other person's views. That might even be your first few conversations. Apologetic Tip #3: Remember that people are image bearers to be valued, not merely apologetic targets to be conquered. Apologetic Tip #4: Laugh. Joke around a little. Add a little sarcasm. This can take some of the tension out of a serious conversation. Apologetic Tip #5: Talk over a meal. Table fellowship can communicate love, care, friendship--important things to undergird your apologetic. Apologetic Tip #6: Don't sacrifice truth in the name of love. Don't sacrifice love in the name of truth. Need both 4 a powerful apologetic. For more of Brett's writings and videos, check out www.strplace.com.